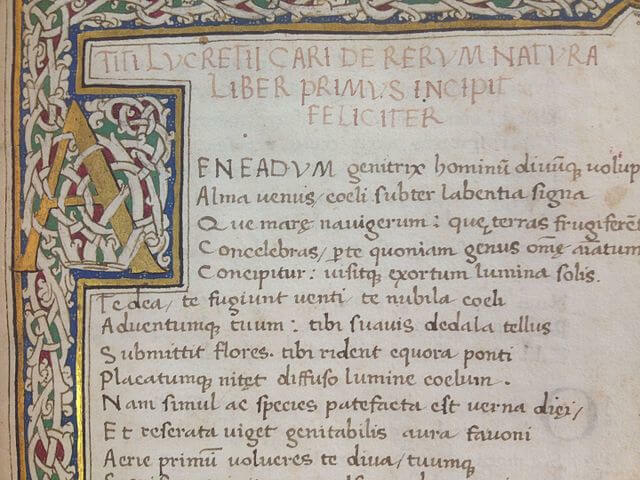 Of the Nature of Things (De Rerum Natura) was Roman philosopher Lucretius' first century didactic poem spanning six books, painstakingly transcribed on papyrus rolls and stored in circumspect for centuries. It explains the tenets of Epicureanism, a belief in striving for pleasure without pain (a form of hedonism), seeking knowledge of the workings of the world (atomism), and understanding the nature of the mind and soul to achieve a state of tranquility in this life, which is the only one that exists. The Church violently opposed Epicureanism as the antithesis of Christian beliefs, and set to destroy Lucretius' writings, with such inflammatory chapters as "Nothing Exists per se Except the Atom and the Void" and "The Soul is Mortal." The poem was given up as lost during the Middle Ages, but rediscovered in the Age of Enlightenment, when Epicureanism was revived. Book VI - Great Meteorological Phenomena, Etc. 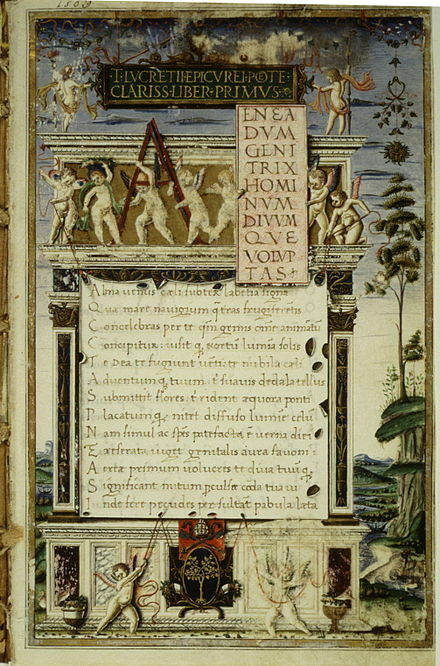 Return to the Lucretius library.